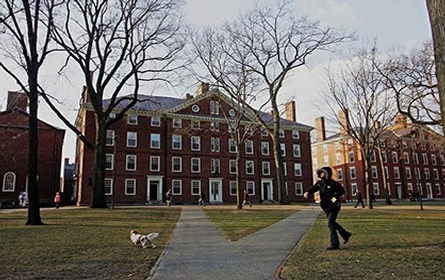 Harvard initiative seen as a national model. At the heart of the Embedded EthiCS program are carefully designed, course-specific modules, collaboratively developed by faculty along with computer science and philosophy graduate student teaching fellows. A module that Kate Vredenburgh, a philosophy Ph.D. student, created for a course taught by Professor Finale Doshi-Velez asks students to grapple with questions of how machine-learning models can be discriminatory, and how that discrimination can be reduced. An introductory lecture sets out a philosophical framework of what discrimination is, including the concepts of disparate treatment and impact. Students learn how eliminating discrimination in machine learning requires more than simply reducing bias in the technical sense. Even setting a socially good task may not be enough to reduce discrimination, since machine learning relies on predictively useful correlations and those correlations sometimes result in increased inequality between groups.